You can now download and install LineageOS 16 for Moto G5 Plus. Here is how to install LineageOS 16 on Moto G5 Plus, with a step-by-step guide. This Moto G5 Plus LineageOS 16 build is brought to you by developer sandy108. THIS IS AN INITIAL BUILD OF LineageOS 16 FOR Moto G5 Plus, WHICH MAY HAVE BUGS. Installing a custom ROM may require an unlock bootloader on Moto G5 Plus, which may VOID your warranty and may delete all your data. Before proceeding further you may consider backup all data on the phone. 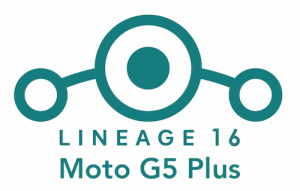 Download and Copy the LineageOS 16 Gapps and the Moto G5 Plus LineageOS 16 Android Pie ROM ZIP file to your phone. Boot into the TWRP custom Recovery to install this LineageOS 16 on Moto G5 Plus. Install the Moto G5 Plus LineageOS 16 ROM file that you have copied into the phone. Reboot and Enjoy the Android 9 Pie LineageOS 16 on Moto G5 Plus. 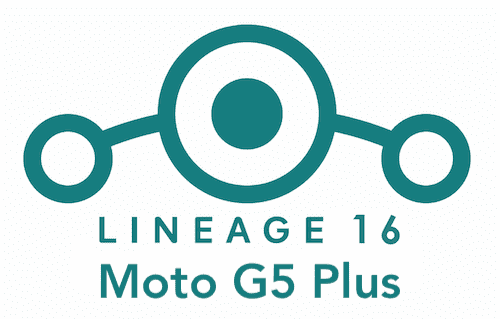 Install the LineageOS 16 for Moto G5 Plus. If you don’t have GApps after upgrading the LineageOS 16 on Moto G5 Plus, then flash the GApps. If you don’t have ROOT after upgrading the LineageOS 16 on Moto G5 Plus, then flash the SuperSU or Magisk or the Lineage SU binary. Once everything is done, reboot and Enjoy the LineageOS 16 on Moto G5 Plus. Complete the initial setup and enjoy Android 9 Pie with LineageOS 16 on Moto G5 Plus. Stay tuned or Subscribe to the Moto G5 Plus (potter) LineageOS forum For other Android Pie, Android Oreo ROMs, Nougat ROMs, or other ROMs and all other device specific topics. ojala puedan solucionar este incoveniente, realmente funciona el resto de la rom muy bien! I did the installation as indicated but the google services do not work (just install the two options of google apps and not, making the corresponding wipe between them), the little I could use because of that otherwise it works very smoothly. I hope you can solve this inconvenience; otherwise it really works very well with the rest of the rom! Hello friends, my finger scanner is not working. I went from having stock rom to LineageOs 16, everything seems to be working fine. the only problem is with the finger scanner. Can someone please help me get the scanner working? Congratulations for this mod. I’ll leave some comments that may help people here. I tried to install this mod in many different ways, and got many different problems. Now I passed encryption part. After it requested my wifi connection, it connected but got stuck on “checking for updates…” forever. I rebooted many times, wiped out everything and tried again. No success. I heard it might be a problem with opengapps, so I tried MindTheGapps too… tried too many versions, but no progress. I reverted TWPR to the newest version again, but also no progress. This was the only way I got it working on potter Moto G5 Plus: installing lineage-15.1-20190408-UNOFFICIAL-potter with open_gapps-arm64-8.1-nano-20190409. Using this tutorial, I managed to pass the wifi situation, but noticed there’s no tray bar anymore. Since there’s no “back” button, or anything else, I thought it was another bug on the system! OPTION 1: I needed to find “Settings” on top screen, and go to “Moto Actions”, to add “gestures on biometric sensor”. I defined a single click as “back”, double click as “home” and long click as “recent”. OPTION 2: Go to “Settings” on top screen, then “System” -> “Buttons” -> “Enable screen navigation bar”. This is more “classic” (three buttons on screen), but also consumes part of the screen.